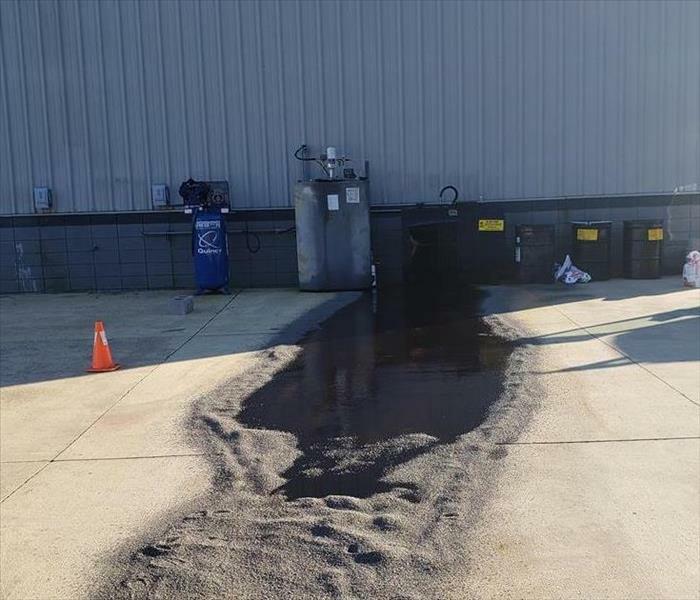 This was the aftermath of a commercial oil spill SERVPRO was called in clean. We arrived promptly to clean and pressure wash. The Manager couldn't believe how new the concrete looked when we finished. We make disasters "Like it never even happened." 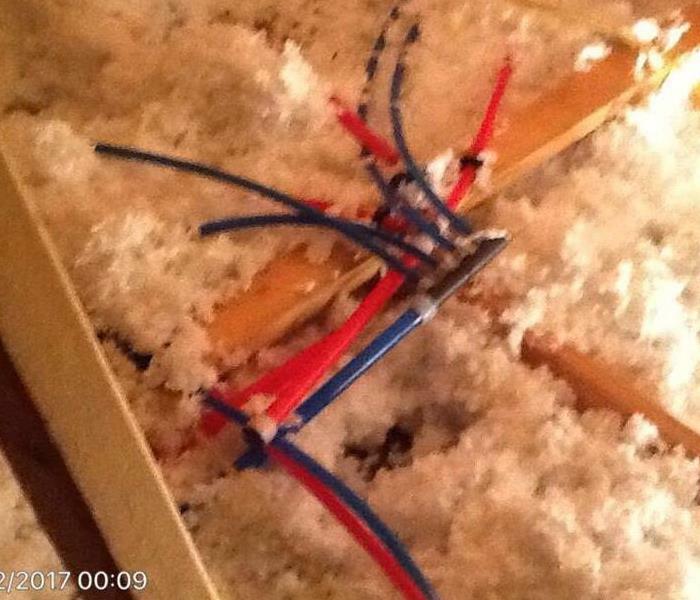 This is from an AC leak. We responded to the initial call after the homeowner had the plumber fix the leak. 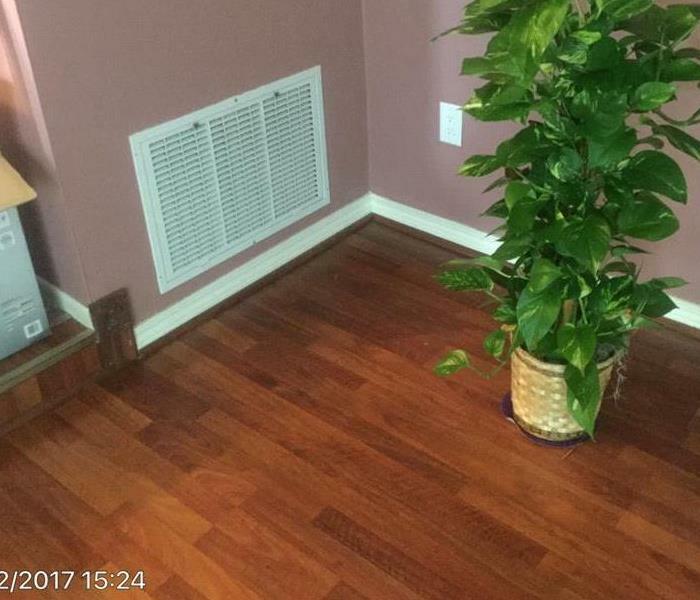 Once we had set the drying equipment, the homeowner sent us this picture because the AC had begun leaking again. 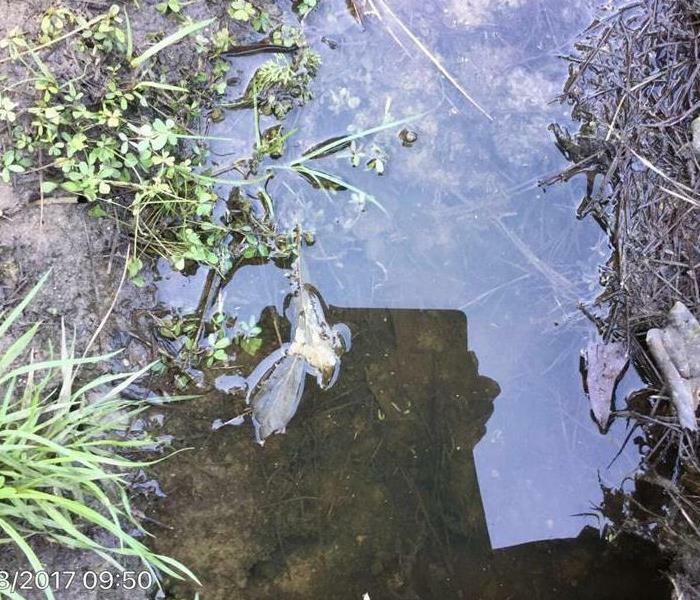 Unfortunately, the plumber had not cleaned out the entire system, which caused the leak to reoccur. We had to allow additional drying time due to the secondary leak. It is highly important for homeowners to ensure that all leaks are fixed prior to setting drying equipment to prevent extended drying time. Two of our guys are currently working on a mold job at a local home in our area. 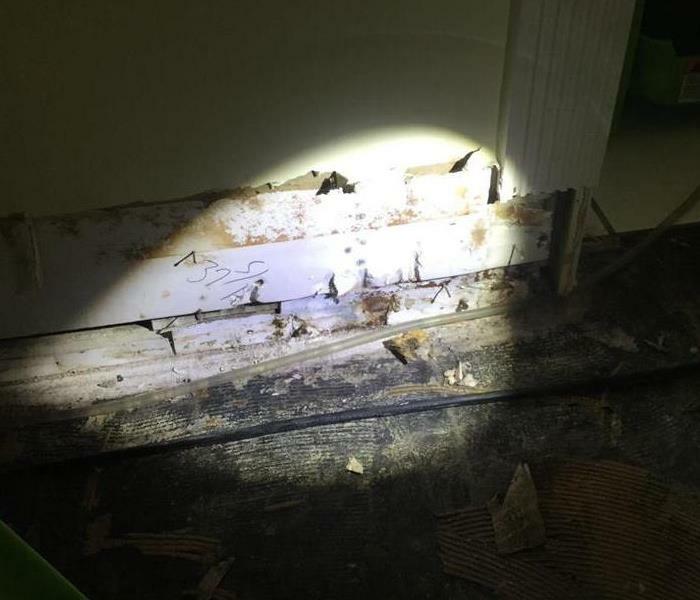 The home is approximately 1600 square feet, and there is mold through the entire crawl space. Fortunately this crawl space is ranging form 4-5 feet tall, instead of the usual 18 inches. Our guys are using Concrobian to treat the mold, and will later treat with Sporicidin. SERVPRO is always thrilled to be called in and assist our customers in one of their most challenging times. Any time a loss occurs, the home or business owner is faced with stress and chaos that is not typical to their daily lives. We are proud to be a part of a company that eases that burden for them by restoring their home "Like it never even happened." 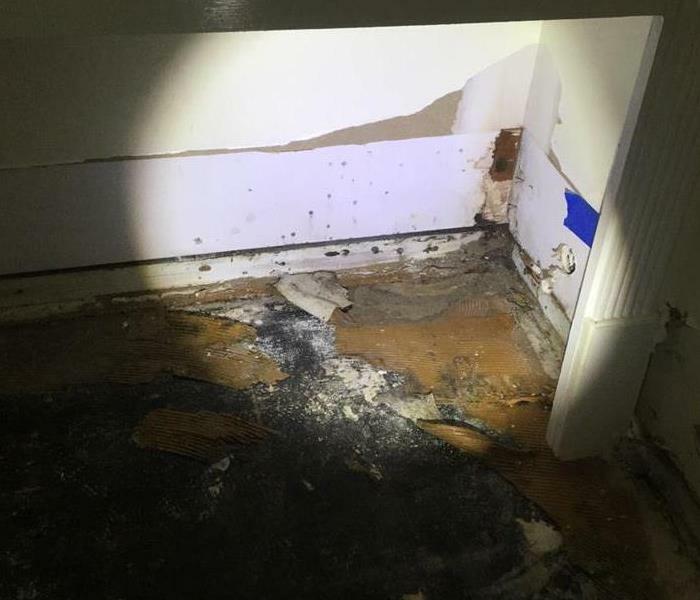 This home was overcome with mold after a water damage. The homeowner called us to assist with the restoration of his home. We were honored to be his first choice, and completed the job efficiently and in a timely manner. 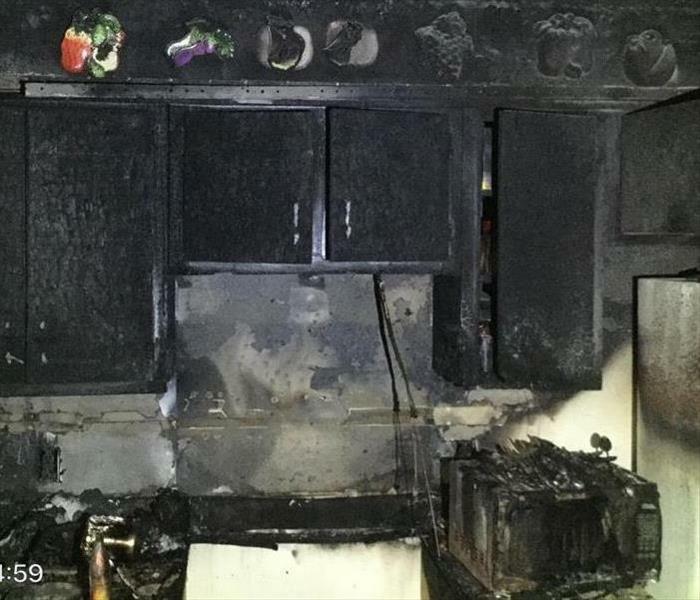 This was a large loss due to a kitchen fire. The homeowner called us to assist with the restoration of his home. We were honored to be his first choice, and completed the job efficiently and in a timely manner. 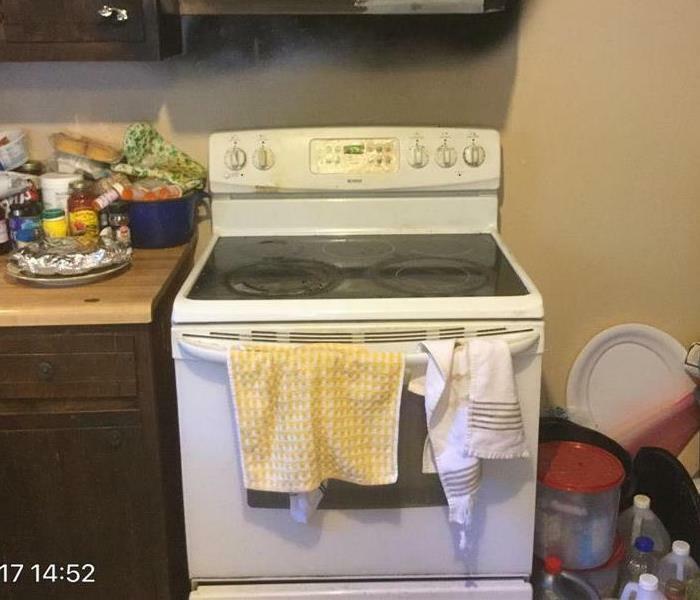 Call SERVPRO with all your fire restoration needs. As always, we are always here to help. 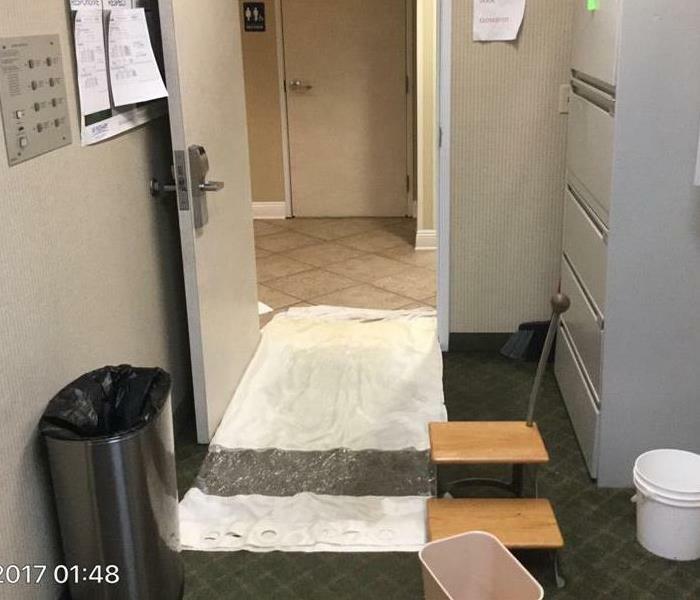 SERVPRO was called in to help with this large loss water damage at a local hotel. 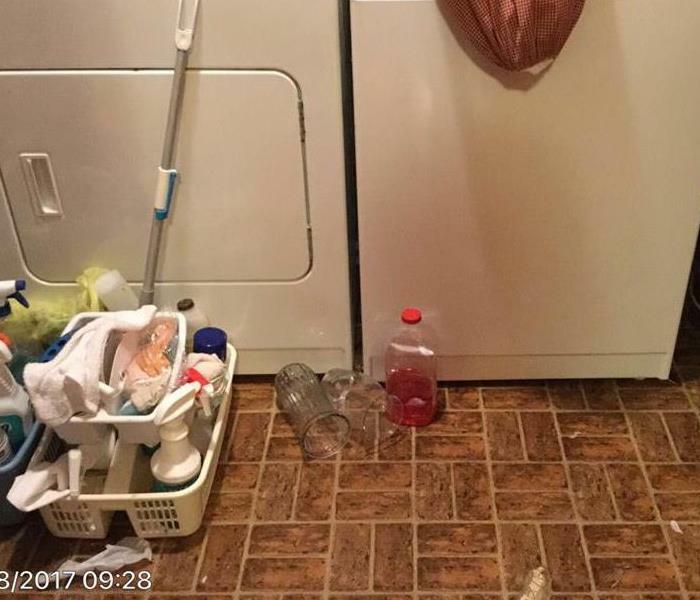 The loss was caused by an intoxicated guest, which left them with bullet holes in two rooms, and water damage in two rooms and hallways and offices on two floors. 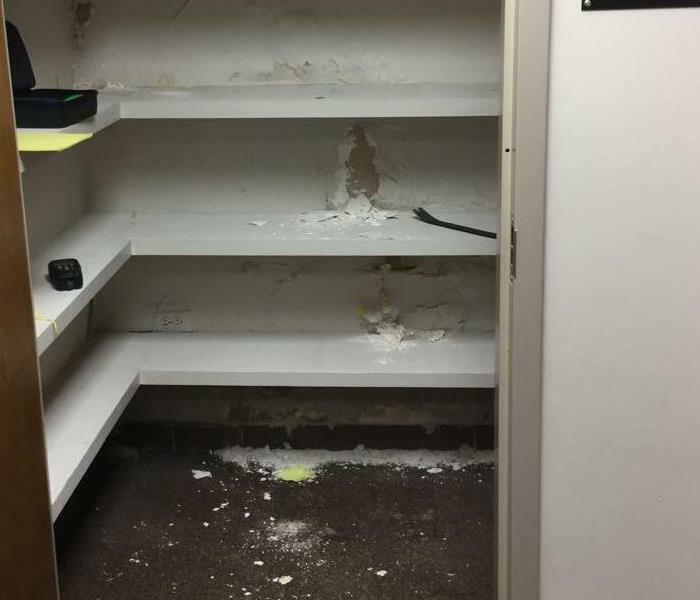 This is a closet in a classroom at a university here in south MS. We were called in to help remove the mold and get the classroom back in operational order. Call SERVPRO with all your mold remediation needs. As always, we are always here to help! SERVPRO is always thrilled to be called in and assist our customers in one of their most challenging times. Any time a loss occurs, the home or business owner is faced with stress and chaos that is not typical to their daily lives. We are proud to be a part of a company that eases that burden for them by restoring their home as if it never even happened! 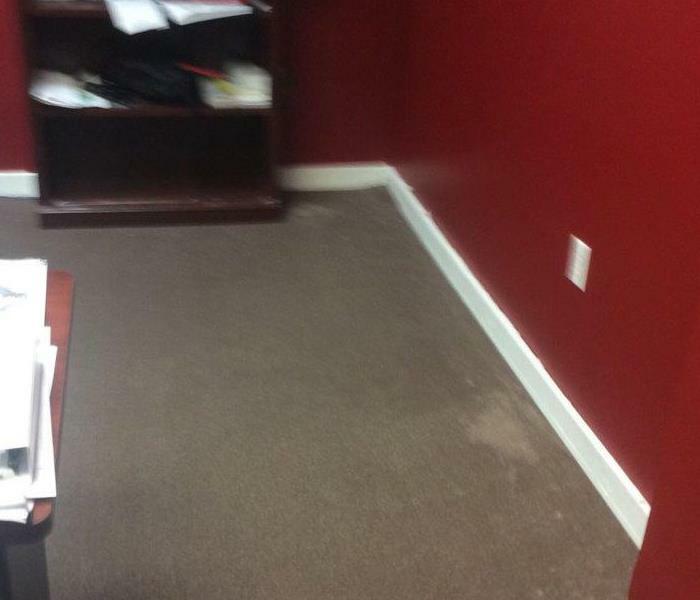 This was a commercial office affected by water damage. 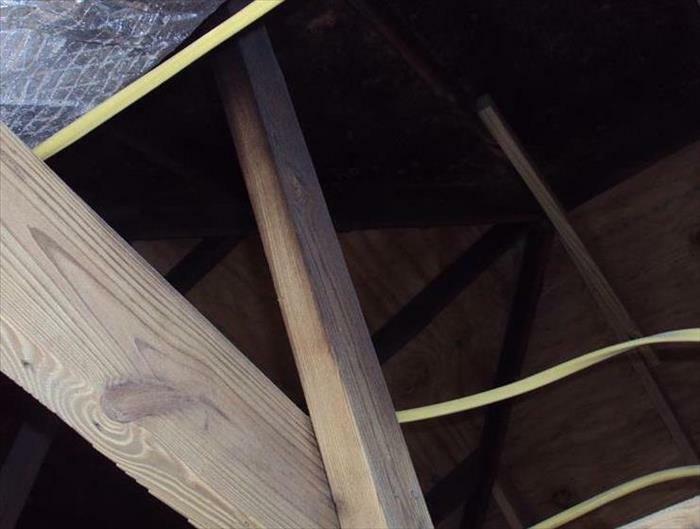 The business owner contacted us immediately upon noticing the damage, and we were able to respond and prevent further damage. 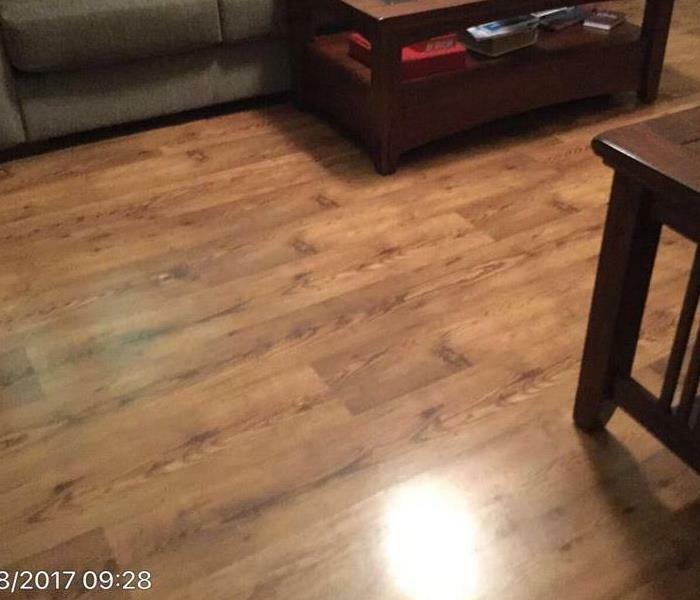 The company was pleased with our work, and gave us a wonderful referral following the job. 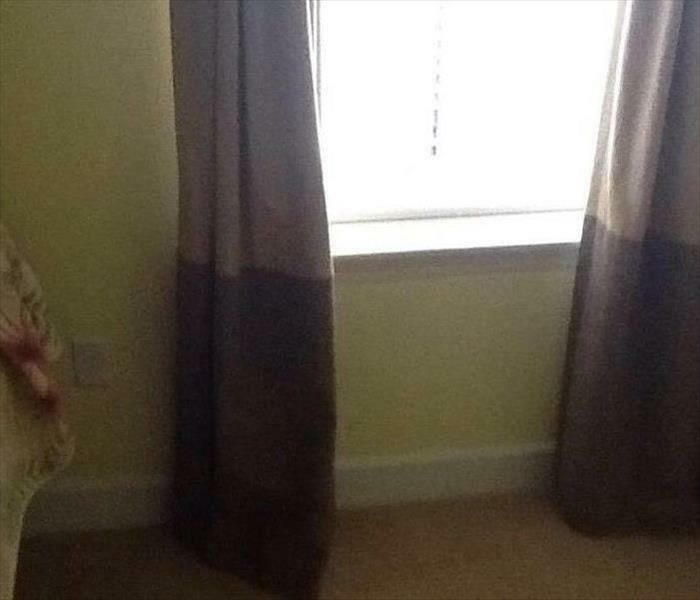 As you can tell by the curtains in this picture, the water reached quite high in this home following a hurricane. There was extensive damage to this home. 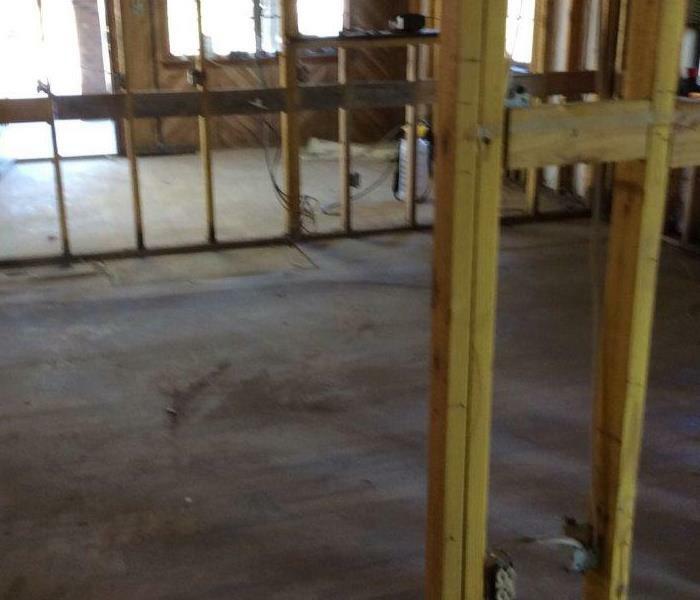 Our crews worked for two solid days in this home to get the demo completed for drying to begin. The homeowner was pleased with our work and gave us a great referral. This home was damaged in Hurricane Matthew in 2016. We were called in to help with the damage. 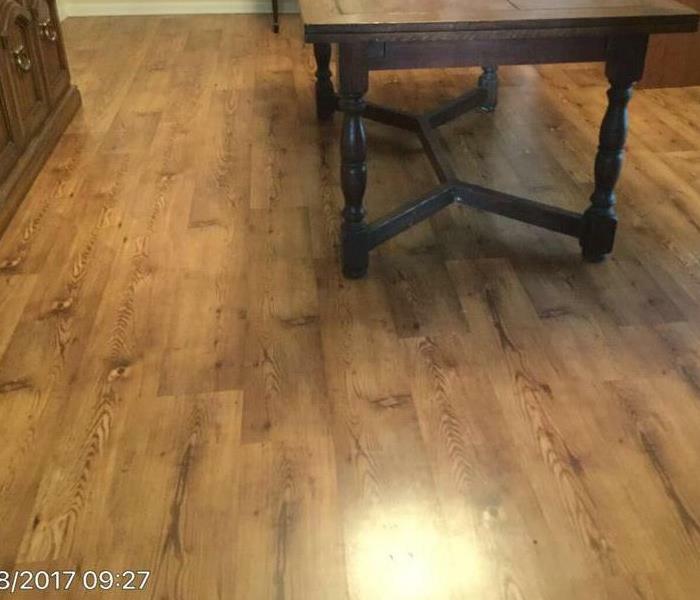 The customer was very pleased with our work and gave us a wonderful COS.
As always, SERVPRO is always here to help! This home was damaged during a hurricane in 2016. 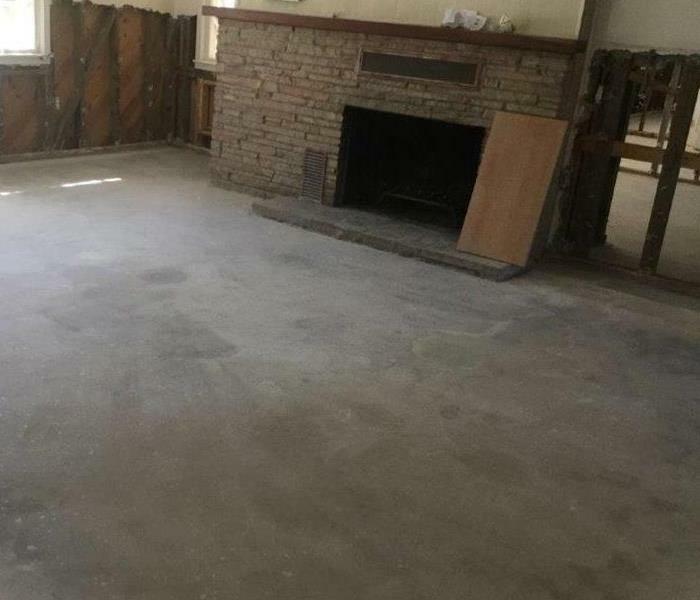 The homeowner was extremely pleased with our work and gave us a great referral afterwards. We were happy to be able to help this customer! This homeowner contacted us after a local storm. We responded immediately and explained to her the process and what it would take to restore her home. She was extremely nervous about the process, and had no previous experience dealing with her insurance company. This stool was part of a water damage that was left to sit for several days in the heat. 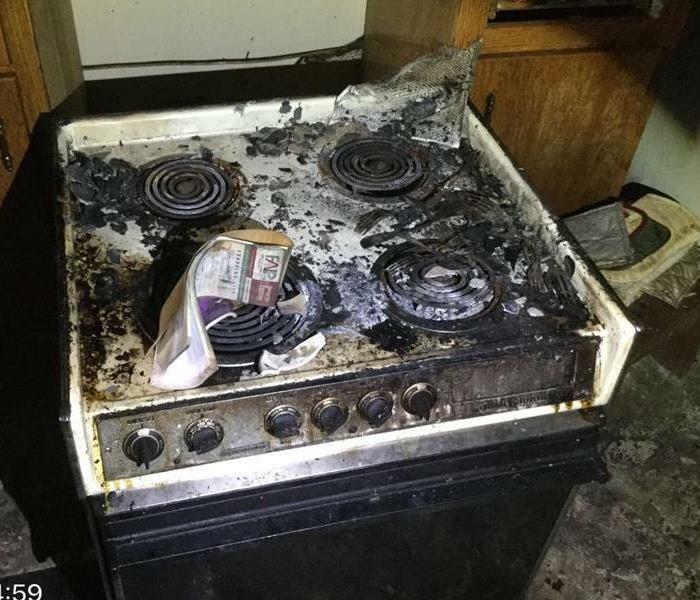 By the time the homeowners noticed the damage, it had been almost a week. 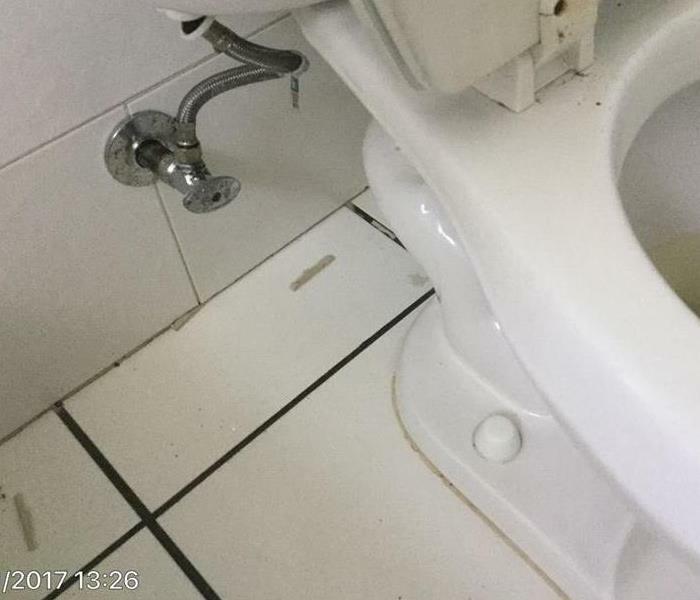 The stool was badly damaged from mold, and the homeowners were highly distraught because the stool was part of a family inheritance. Our crews assured her that we would do our best to restore her furniture and get it back to tip top shape. Our Crew Chief worked on this piece in our new warehouse and was able to restore it. 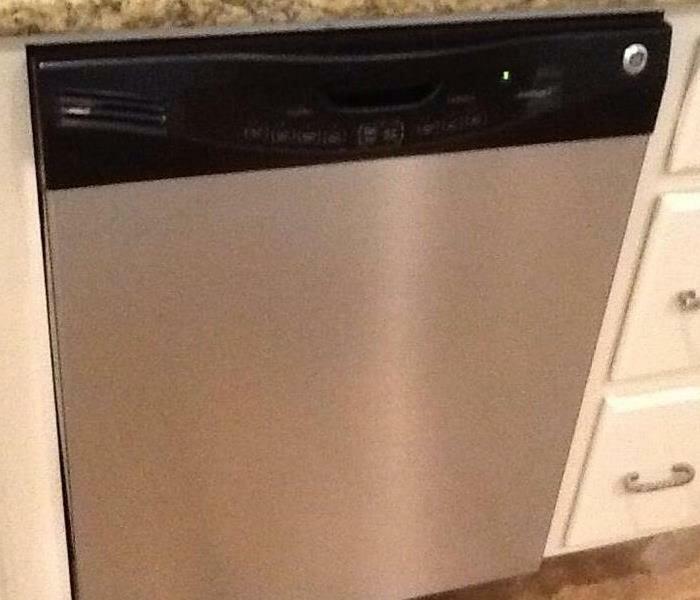 We are excited to let the homeowner view this piece. As always, SERVPRO is always here to help!! Give us a call with any of your mold mitigation needs. 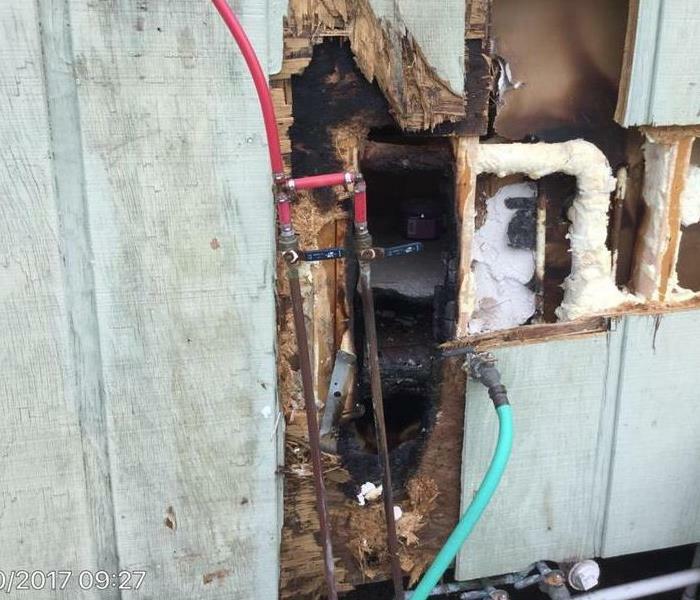 This residence suffered an unfortunate fire, which has displaced the resident and required extensive remediation and reconstruction to the home. We completed the pack-out, the initial cleaning, the post construction clean, and the duct cleaning. 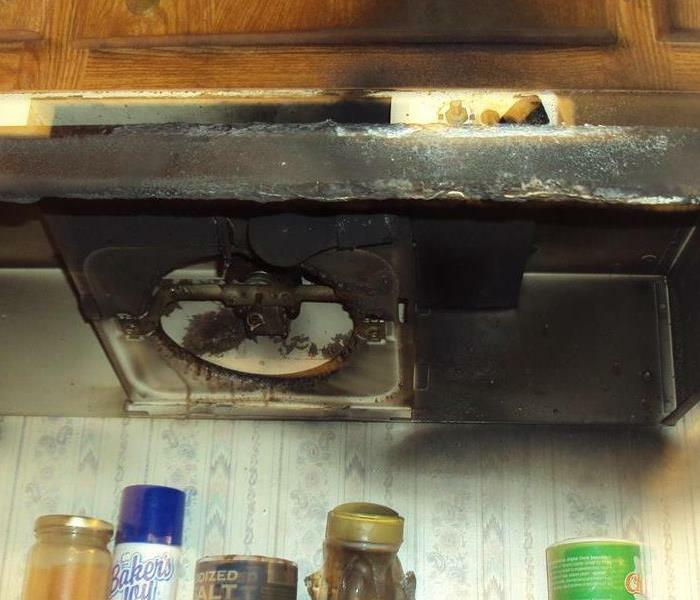 Many homeowners don't realize the importance of a duct cleaning following a fire. So much soot and smoke odor gets trapped in the ducts, and can prevent the home from being fully restored if not cleaned correctly. Here, we have Crew Chief Al Jefferson and Production Technician Josh McDonald performing a duct cleaning. We are looking forward to getting the resident settled back in her home and she is thrilled with the work we performed! 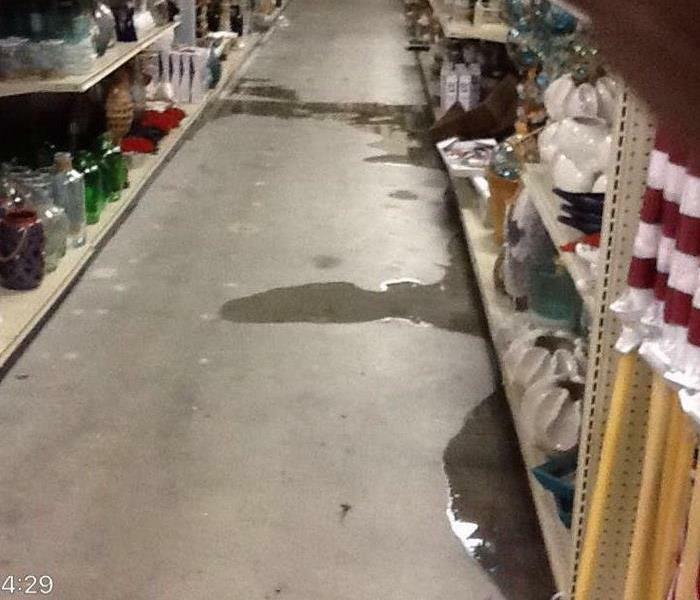 This past weekend, SERVPRO of Hattiesburg received a call for a commercial water loss at our local shopping mall. The store affected was a home décor retail center. 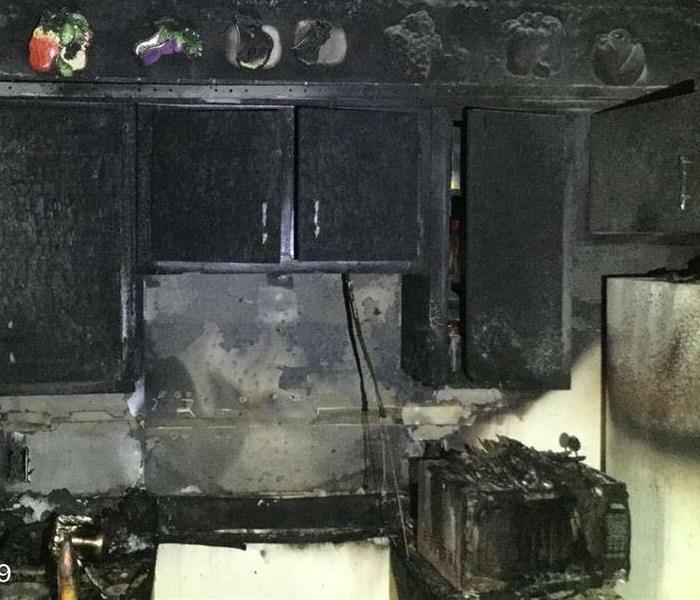 This was an after hours call, and our crews were able to respond almost immediately to the store. Our crews were able to get the store back up and running very quickly, and had a satisfied store manager! The store was able to open up as scheduled the next day. As always, SERVPRO is always here to help. We have a crew available 24 hours a day, 7 days a week, 365 days a year! SERVPRO held our 1st Annual Spring Cookout this past weekend. All the employees, families, and friends gathered at our local Paul B. Johnson State Park and enjoyed a day of fun, food, swimming, and fellowship. 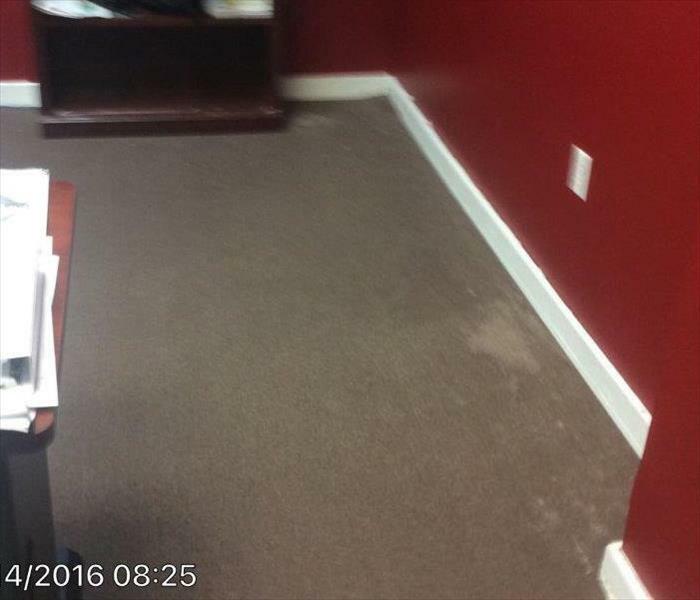 SERVPRO of Hattiesburg was called to a local stocks and investments company to handle a water damage. We were pleased to respond to this call, and were provided with wonderful feedback from the investors. As always, we are always here to help! 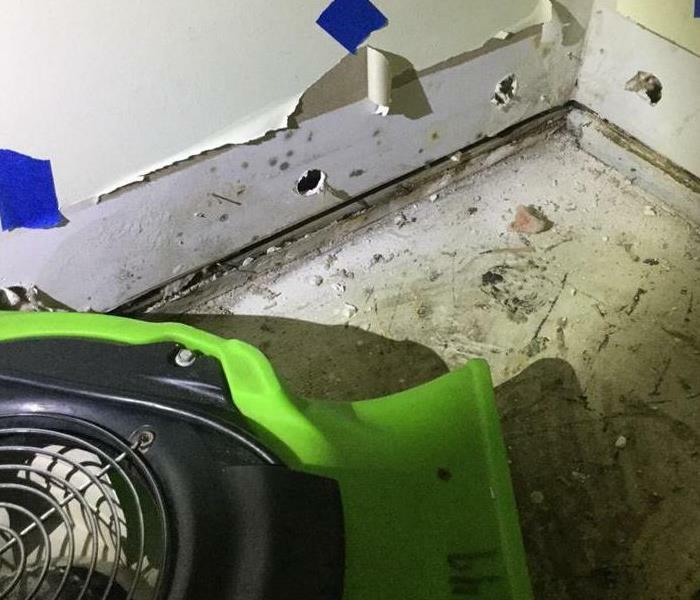 SERVPRO of Hattiesburg was called out to perform mold remediation in a local church. Our crews responded to this job and left with a wonderful report from the church board members. Soda Blasting at a local nonprofit organization to help eliminate soot from a fire damage. 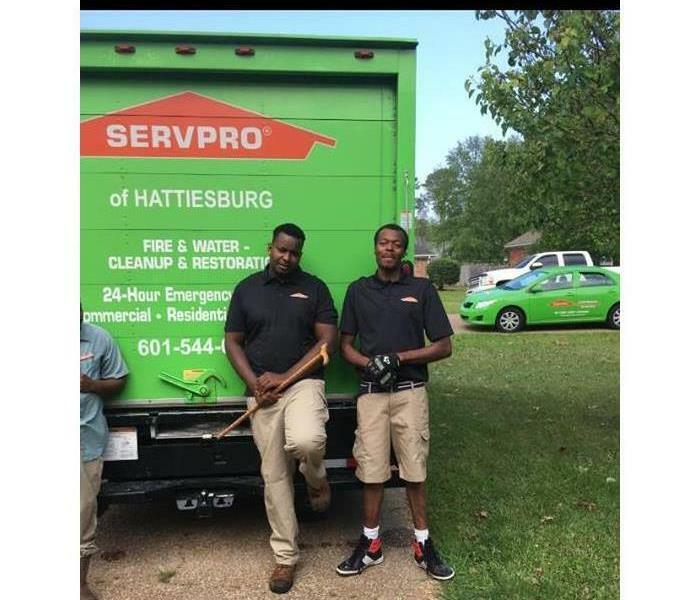 SERVPRO of Hattiesburg was happy to be a part of this job, and as always, were are always here to help! SERVPRO of Hattiesburg volunteered to assist with a local church. SERVPRO of Hattiesburg set up a tent for face painting. It was a wonderful, fun event with a lot of happy kids. Warehouse Manager Russell Lamey is working diligently to get the warehouse in tip top shape! Russell always makes sure that things are in the best order for the quickest response time to any disaster. Crew Chief Al Jefferson, and Production Technician Josh McDonald, assisting SERVPRO of Brandon in their flood cleanup efforts. 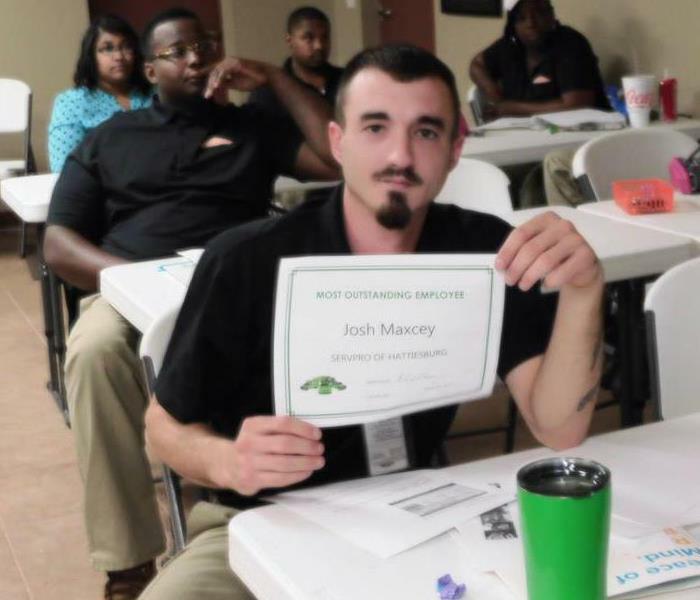 SERVPRO of Hattiesburg recognized Crew Chief Josh Maxcey last week as an Outstanding Employee for the month of March. Josh has gone above and beyond what is asked of him, and led the MGCCC water damage job with flawless results. Thank you, Josh, for all you do for our office! 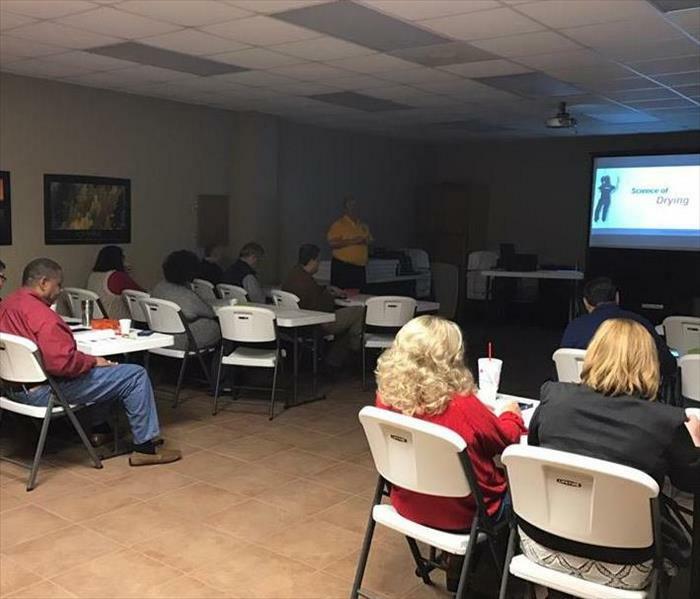 SERVPRO of Hattiesburg held our respirator fitting last week. Each crew member was medically cleared through 3M, and is ready for action! First CE class of the year! Our Marketing Manager teaching our CE class. We are so appreciative of the agents and adjusters that take advantage of these classes. As always, we loved hosting this class, and look forward to the next one!